Writing characters was invented for practical usage at first, but another usage was developed as culture had matured. 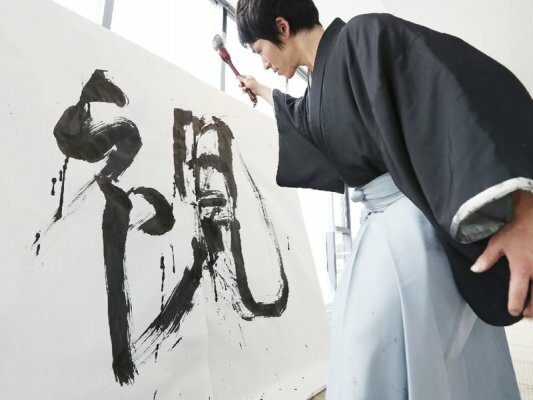 The discipline of this artistic writing technique to write beautiful characters is called Shodo, or Japanese calligraphy writing. It is the way to discipline themselves at the same time. 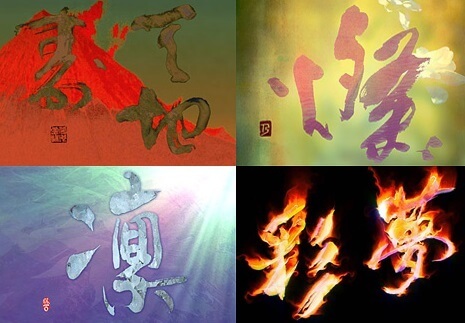 In ancient times, Shodo was enjoyed among noble people and placed to be one of the six important accomplishments. 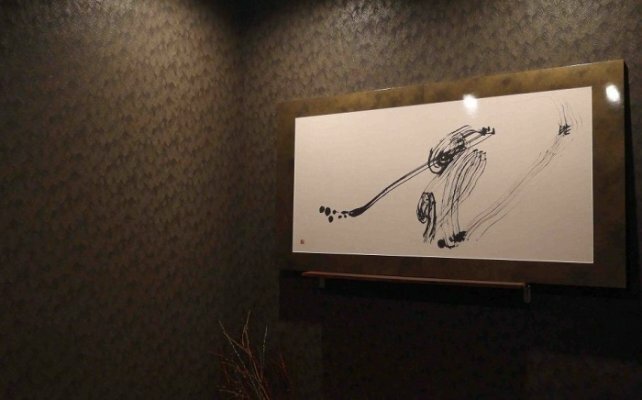 Shodo is considered to enrich doer’s minds and the way to express individual beauty. 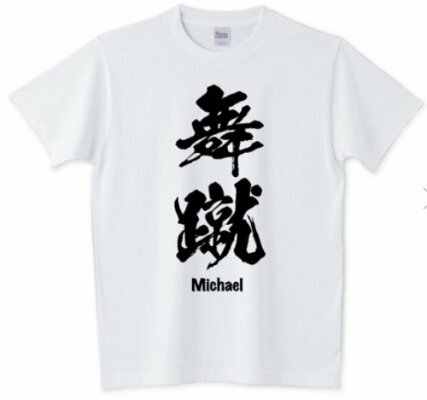 Therefore, it is considered in Japan that Shodo should be taught as a part of tradition. In fact, Japanese government have been established learning curriculum for elementary pupils from grade 3 to 6 and the students in middle schools. Due to this learning curriculum in Japan, many Japanese enjoy Shodo until today. 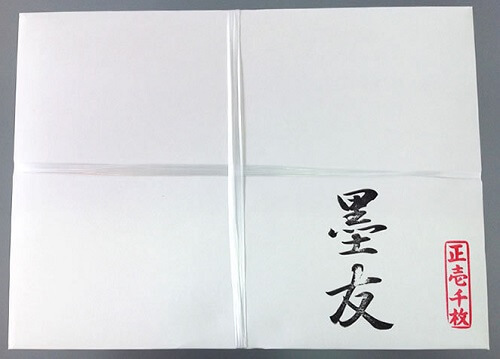 Even in this IT-era, people sometimes write new year card in Shodo calligraphy writing or addressed on envelopes. 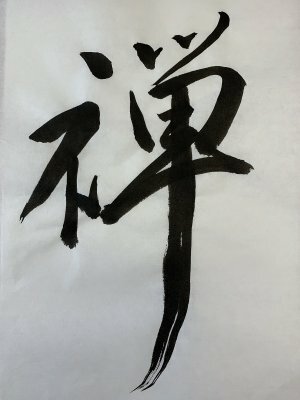 In this post, I’ll introduce equipment necessary to enjoy Japanese calligraphy writing, and I also introduce how to use Shodo tools. 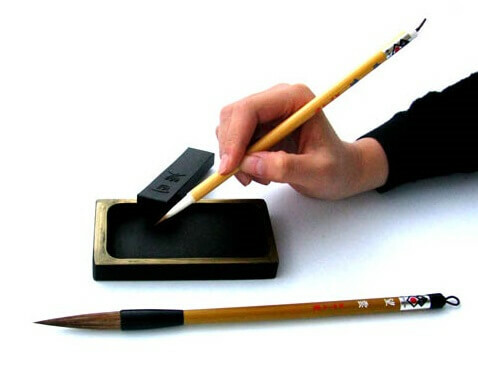 Japanese writing brush is made by bundling animal hair and attach at an edge of a bamboo or tree bar. Brush is fixed with starch when it’s sold (except for some exceptions). 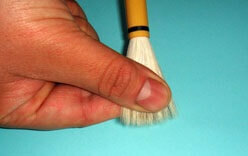 Before use, you have to massage and loosen the fixed brush appropriately. It depends on how much to loosen; don’t massage too much to loosen entire brush! 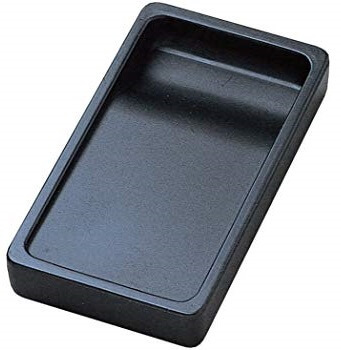 Or, ready-to-use liquid Sumi ink is also sold. School kids often use this type because it’s easy! 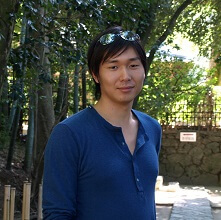 Suzuri works exactly same as a pallet in color paintings. 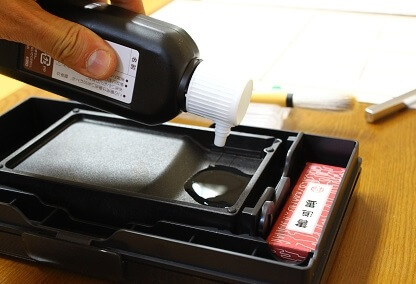 Filed Sumi-ink bar is dissolved with water by rubbing on surface of Suzuri, and solved ink can be pooled at the deeper pit of it. 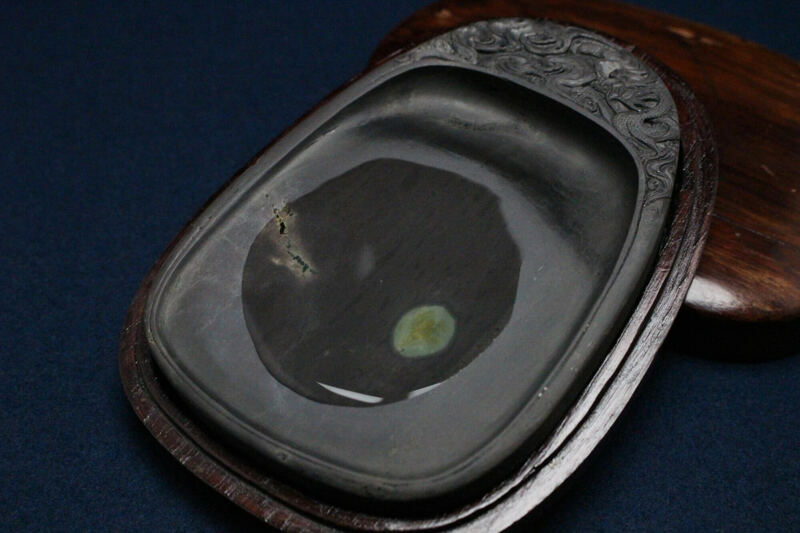 It was originally made of stones, but it came to be made of pottery or lacquerware later on. In present, plastic or ceramic Suzuri are sold for beginners. 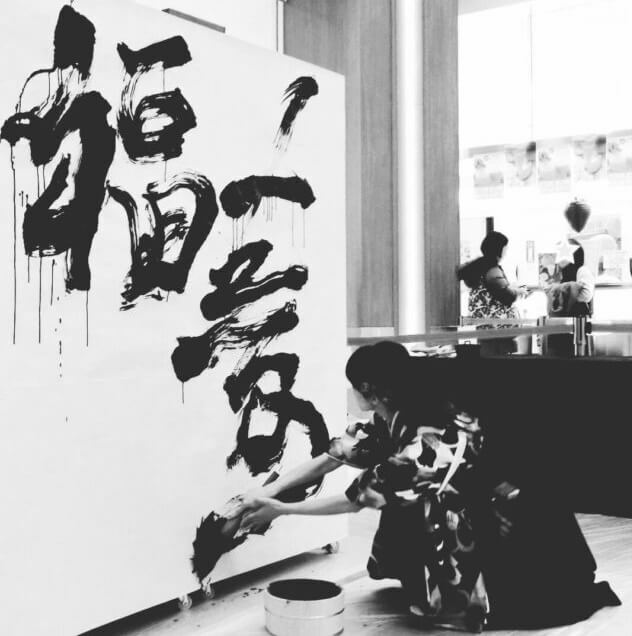 Basically, Shodo Japanese calligraphy writing is made on Washi Japanese paper. In stationery shops in Japan, you can find writing paper for Shodo almost anywhere. 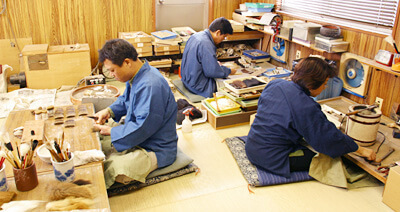 There are highest quality Washi made by craftsmen by hand and specialized for calligraphy wirings. 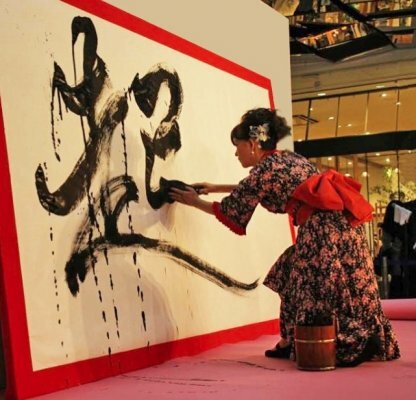 Until several decades ago, most of writings in Japan had made with brush and Sumi ink. 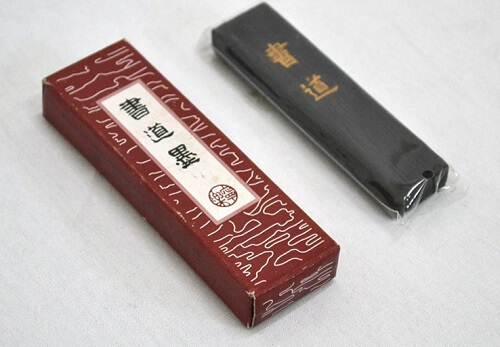 Therefore, equipment of Shodo has developed for a long time. There have been cheap equipment for general public and artistic equipment that noble people actually used. 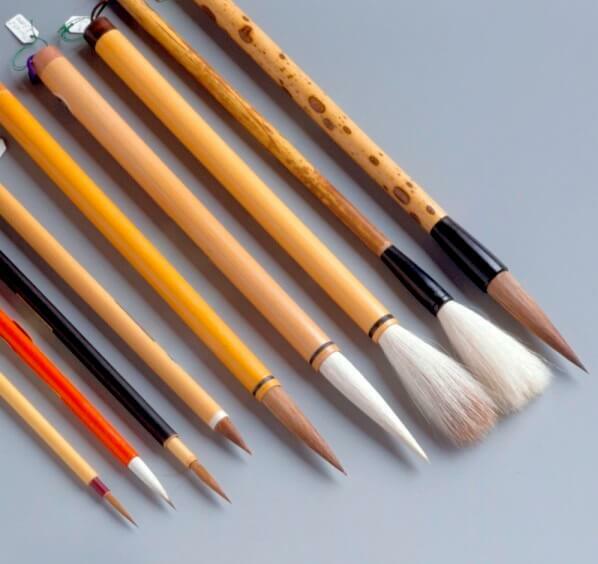 Especially, writing brushes and Suzuri have produced as a traditional craft by experienced craftsmen following old handmade method to fulfill needs of professional calligraphers and persons of taste. 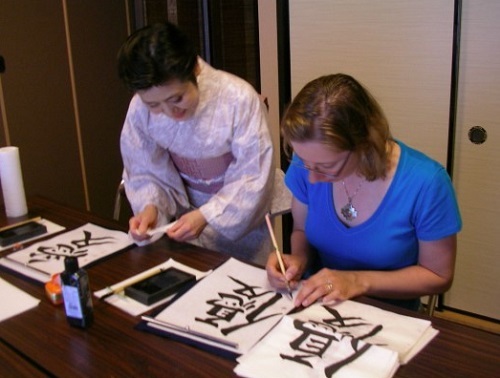 Shodo writing papers are another product category that is required by calligraphers. 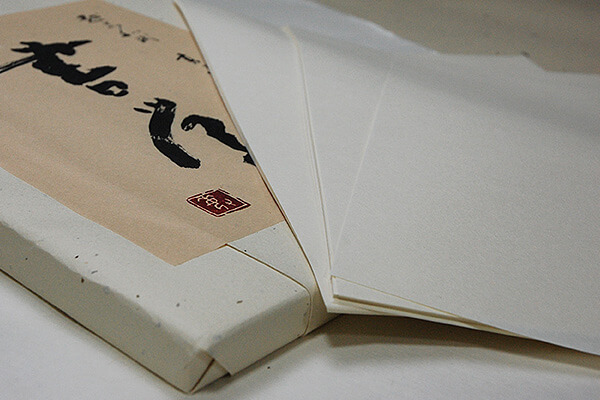 Japanese paper Washi is the best for Japanese calligraphy writing. In other words, western papers are too smooth for Sumi ink. 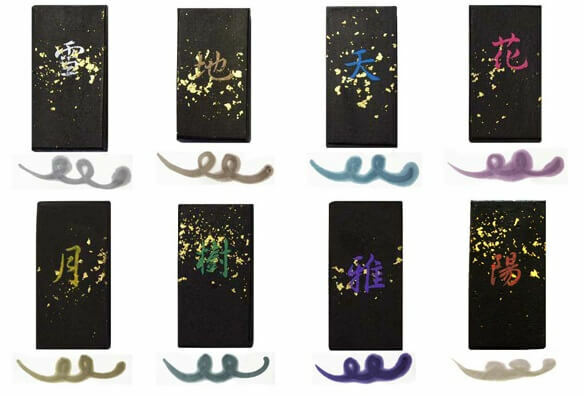 In Japan, several cities are still famous for producing high quality Washi Japanese paper for calligraphy writing.